With our accounting services, you’ll accomplish more in less time and have greater confidence in the quality and continuity of your decisions. If you need to enhance your business decision resources or meet specific compliance requirements, we can provide project accounting throughout all phases of your project from planning through closeout. At LM Austin, we provide Client Accounting, CFO and Controller Support and Project Accounting on a full-time, part-time, interim basis to suit your needs. 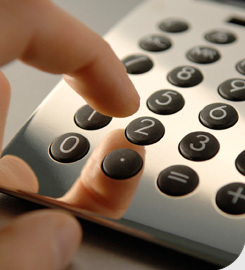 Contact us today for more information about LM Austin LLC's Accounting Services. We provide real time, monthly, quarterly and annual accounting, reporting and tax compliance to fit your needs. Our services are available both on site working with the client’s accounting software or remotely with the client’s records maintained on LM Austin’s accounting system. You can depend on our client accounting professionals to evaluate your situation and provide a cost effective and time efficient solution. We provide experienced CFO and controller-level talent on an outsourced, part-time basis at a fraction of the cost of a full-time position. Our CPAs, consultants and advisors are available to manage your accounting, treasury and audit functions and provide immediate access to solutions that effectively address your pressing financial concerns, complex financial accounting issues and your long-term strategic goals and objectives. We provide project accounting, cost tracking and reporting to support the project delivery system for owners and managers of capital, grant and other special projects. Whether you are a business, not-for-profit organization or a governmental entity, our project accounting services can enhance resource utilization, monitoring and control throughout every phase of your project.